The Anne Boleyn Files - The REAL TRUTH about Anne Boleyn "The Most Happy"
On this day in 1536, King Henry VIII suddenly seemed very hopeful of a Prince of Wales to succeed him. Did he know something that everyone else didn’t? Was Henry VIII hopeful that Queen Anne Boleyn could still give him a son, or had he, in his mind, moved onto his new flame, Jane Seymour? Find out more about what Henry VIII said in today’s video, which is part of a series counting down to Queen Anne Boleyn’s execution on 19th May 1536. If you’re interested in my book (very cheeky plug! ), then you can find out more at http://getbook.at/fallanneboleyn. If you prefer articles to videos, you can click here to read an article on this. 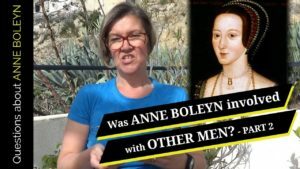 COMMENTS ABOUT "25 April 1536 – God will send unto Us heirs male – The Fall of Anne Boleyn"
As promised, here is the first video in my “The Fall of Anne Boleyn” video series for the Anne Boleyn Files and Tudor Society YouTube channel. I’ll be doing these every day, up to an including 19th May. On this day in 1536, Sir Thomas Audley, Lord Chancellor to King Henry VIII, set up two commissions of oyer and terminer, one for the county of Middlesex and one for the county of Kent. What were these commissions and what did they have to do with the fall of Anne Boleyn, if anything? If you prefer articles to videos, you can read my article from a few years ago – click here. COMMENTS ABOUT "24 April 1536 – The legal machinery begins – The Fall of Anne Boleyn"
Happy Easter to all Anne Boleyn Files followers! I hope you have a wonderful Sunday whatever your plans are. 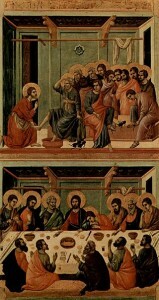 You can read about how Easter was celebrated in my article from last year – He is Risen – Easter Sunday and the Tudors. Happy Easter!